Freshman Ivan Garcia’s first few days on Illinois State’s campus were rough. “I was not happy when I first got here,” said Garcia, who left his family in Las Vegas to attend ISU. Through the Mentoring and Academic Success Achievement Initiative (MASAI), Garcia was paired with senior Miles Spann. MASAI is a peer mentor program focused on the retention of first-generation, low-income and historically underrepresented first-year students. Mentors assist with the transition into the University life. “We did the mandatory study hours, and Miles emphasized the importance of a strong work ethic,” said Garcia, “but he also told me to think of him as a resource to find out more about the campus and ways to get involved.” Garcia credits Spann with his work on student organizations such as The Black Student Union, Up Late at State and the Black Latino Male Summit. MASAI has been on Illinois State’s campus in one form or another for nearly 20 years. Mentors do more than help with academic work and point out student organizations, said Angela Davenport, the director of Diversity Advocacy, and head of MASAI. They can play a key role in letting a student see Illinois State as home. “I affectionately call them retention specialists,” said Davenport. “Those first six weeks are a volatile time – first tests, first papers, first time alone. It’s pivotal that students get through that time and make a connection on campus so that they return in the spring.” The program has done precisely that, with an average retention rate around 86 percent over the last six years. 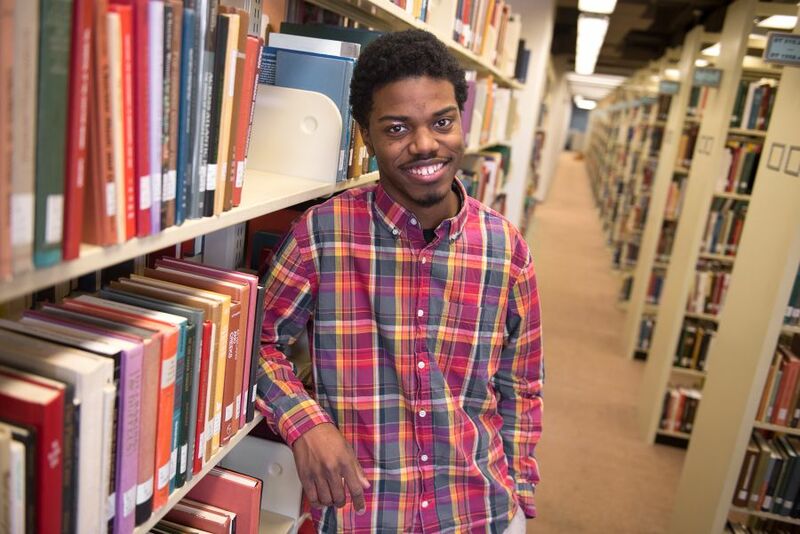 Freshman Dyrell Ashley is Illinois State’s first Gates Millennium Scholarship recipient in history. Dyrell Ashley needed little help academically. A freshman from Chicago, Ashley recently became the first-ever Gates Scholar to attend Illinois State, beating out nearly 50,000 other high school seniors for the all-inclusive scholarship. “My senior year was writing essays for the scholarship application – cramming it in between classes, activities and service,” said Ashley, who graduated valedictorian of his class and as president of his school’s National Honors Society chapter. Determined to become a neurosurgeon, Ashley dove into classes at Illinois State, but it was his MASAI mentor who reminded him that college was about finding a balance. “We would meet regularly to study and talk. Heather [Hanney] reminded me that college was not just work, work, work,” he said. 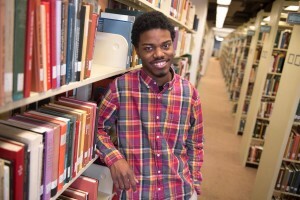 Discovering his interests, his mentor encouraged him to become involved in the Black Student Union and College Experience, which plans events and productions.